Will have mild changes for this mid-life update and new transmission options with mild-hybrid tech. Just a few weeks back, Mercedes-Benz took the wraps off the 2020 GLC. The SUV now sports a new face, a longer equipment list and new powertrain options to choose from. The German car maker has now released a teaser video of the 2020 GLC Coupe too, and by the looks of it, updates are likely to follow the same path. Let’s start with the front. The GLC Coupe is likely to sport the same grille as its standard sibling – a two slat one with the three-pointed star taking the centre stage. On either side, it now comes fitted with sleeker looking headlights with C-shaped DRLs. The headlights are full LEDs. The bumper and the air intakes have been redone too. Along the side, it sits on newly designed alloy wheels too. The rear continues to be smoothly integrated with the roof. Each of these updates brings the GLC Coupe in line with the rest of the Mercedes range. 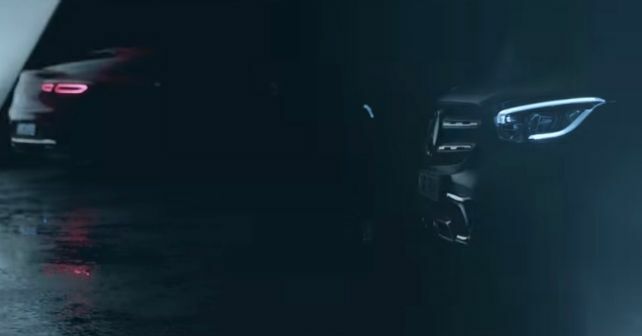 The teaser video released doesn’t give us a glimpse of the GLC Coupe’s interior, but it is safe to assume a similar treatment like the standard GLC. One of the major changes to the cabin is the introduction of the new MBUX infotainment system. As far as the engine goes, just like the GLC, the Coupe too will be offered with a range of options including four-cylinder petrol and diesel motors with mild-hybrid tech. In India, however, we may just get the GLC 43 AMG with a 3.0-litre turbocharged V6 that pushes out 383bhp and 520Nm. All of this power will be sent to all four wheels with the help of Mercedes’ 4Matic all-wheel drive system and a 9-speed automatic transmission. The GLC Coupe is likely to make its global debut in April. When launched in India, it will be brought as a CBU.